Hacking is not a trivial process, but it does not take too long to learn. If you want to learn Ethical Hacking and Penetration testing, you are at right place. We frequently receive emails from our readers on learning how to hack, how to become an ethical hacker, how to break into computers, how to penetrate networks like a professional, how to secure computer systems and networks, and so on. Wait! Wait! Don't associate hacking negative, as one of the best ways to test the security of anything is to breach it, just like hackers. 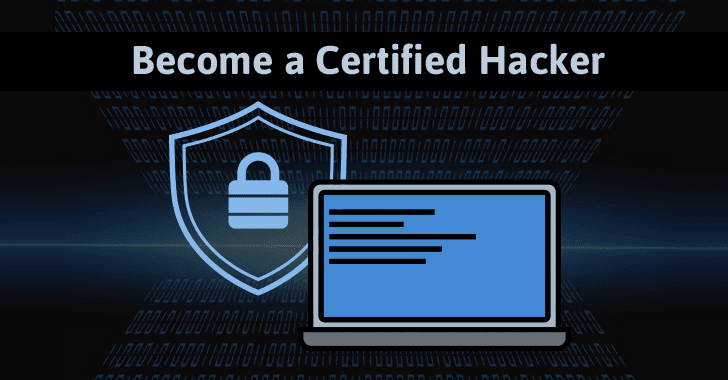 A way to become an ethical hacker is to get a good computer hacking course, and if you're interested in getting started down the path of cybersecurity, the Computer Hacker Professional Certification Package is a great resource. This week's featured deal from THN Deals Store brings you 96% discount on an excellent, best-selling online training course: Computer Hacker Professional Certification Package. This 60-hour comprehensive training course with 12-Months of access will give you the knowledge to effectively protect any network by identifying vulnerabilities, handling legal evidence of any hacking attack, shoring up a network's defences by exposing and then fixing its security flaws, and much more. Computer Hacker Professional Certification Package usually costs $1,499, but you can get this ultimate course for just $59 at the THN Deals Store. Wi-Fi Hacking and Penetration Testing Training Course — at 83% discount — This training course, which costs just $25, is available with lifetime access and focuses on the practical side of Wi-Fi hacking without neglecting the theory behind each attack. All the attacks explained in this course are practical attacks launched against real Wi-Fi networks. Python For Offensive PenTest: A Complete Practical Course — at 35% discount — offers 6 hours of online Python training helping you with the concepts and techniques to create your own tools from scratch, rather relying on ready-made tools. VPNSecure: Lifetime Subscription (91% OFF) — If you're searching for an affordable and reliable VPN service without any bandwidth limits, VPNSecure is a good option. With strict no-log record policy, VPNSecure has many servers located in more than 41 countries and counting. The VPNSecure Lifetime Subscription is available for just $39 at THN Deals Store.